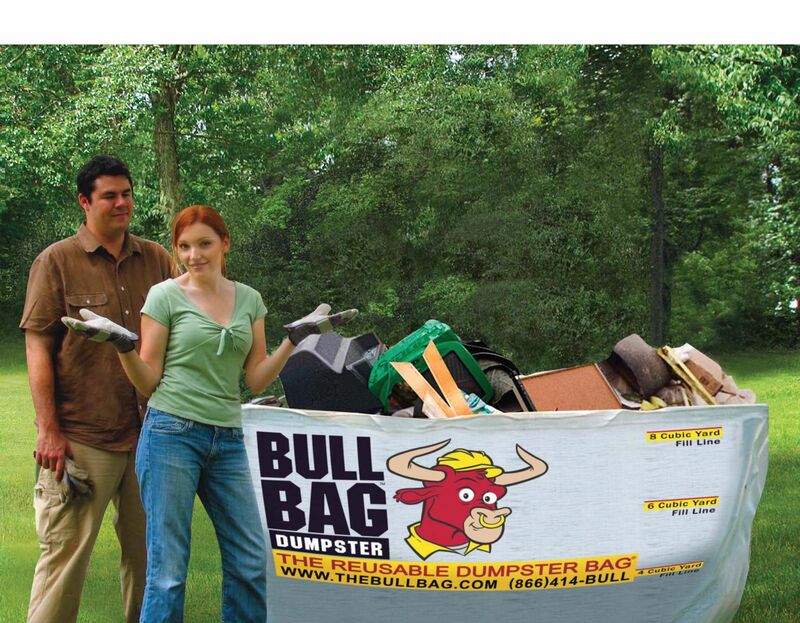 The dumping or emptying of a BullBag begins with the set up and only takes a few minutes. 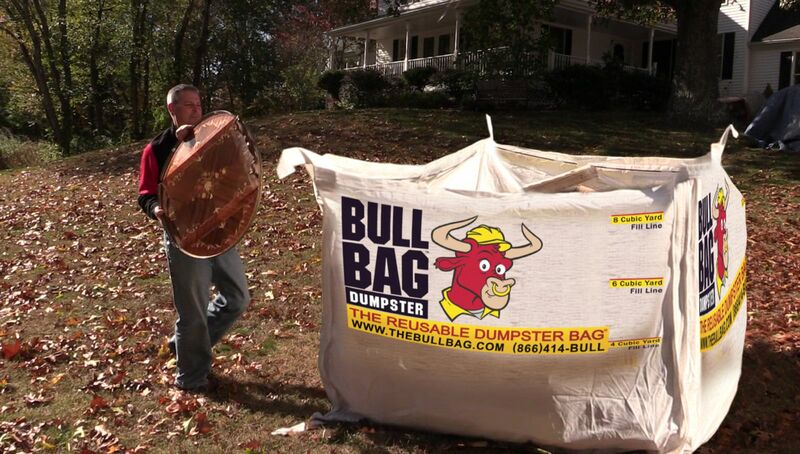 Setting up a BullBag takes less than 5 minutes and is extremely easy. Once it's up and standing, start filling it with any home, yard or job-site debris. 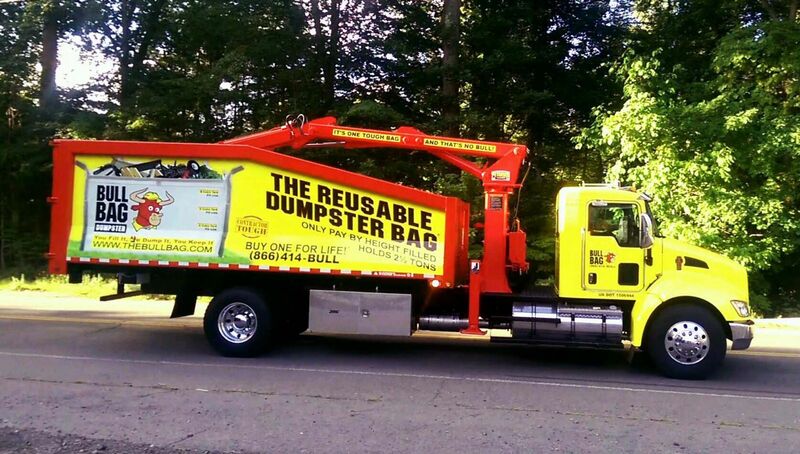 It holds up to 8 cubic yards or 4,500 pounds and strives to be emptied within 48 business hours from when you pay for your disposal. 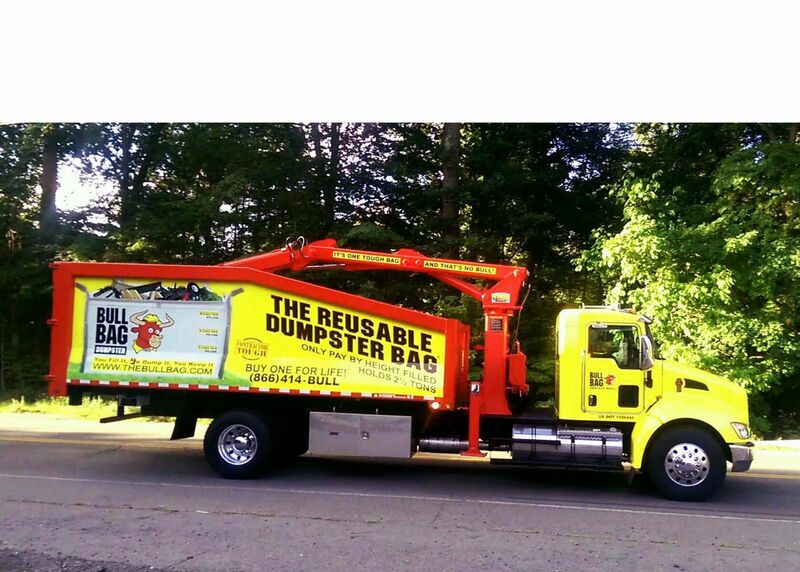 Remember, it's the only Dumpster Bag designed and built to be Contractor Tough and Reusable! Click on the image below to see just how easy it is! Once your bag is full, setting up a disposal is as easy as arranging it online on our website, logging onto our smart phone app or calling us at (866) 414-BULL (2855). 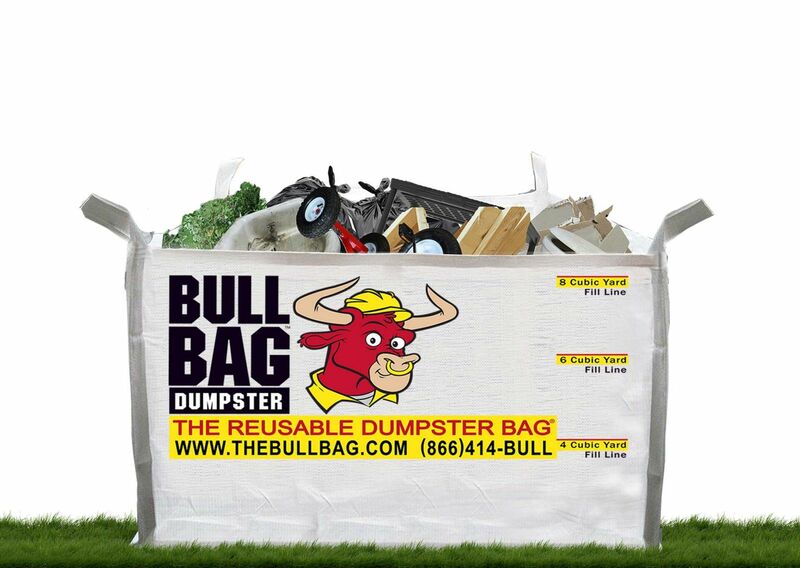 Our goal is to send out a BullBag Wrangler to empty your BullBag within 2 business days. 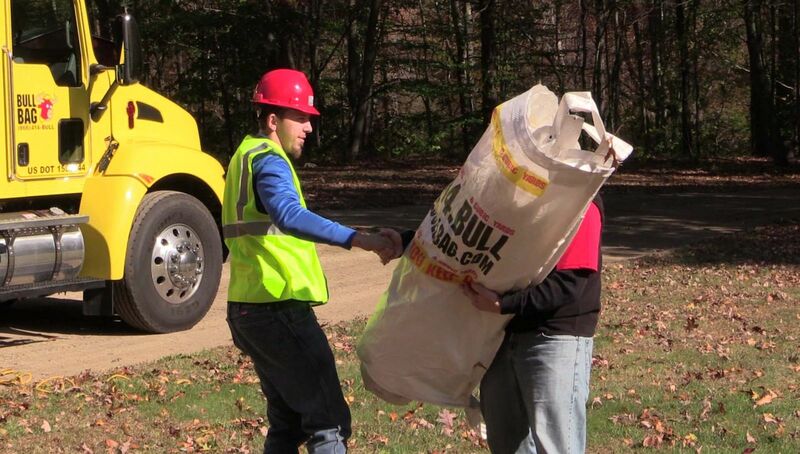 The emptying of a BullBag only takes minutes and you can be ready to either fill it up again or store it away for another project. 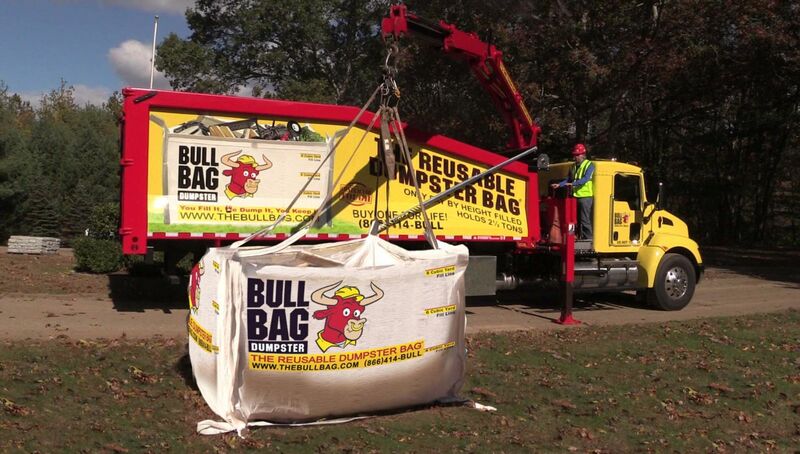 Each BullBag is backed by our Manufacturer Lifetime Warranty: our BullBag Wranglers will either roll it back up for you to store until you're ready for your next project, or will reset it for immediate reuse. If your BullBag is damaged, the BullBag Wrangler will replace it with another right on the spot for you. No hassles! We provide No Bull Service!